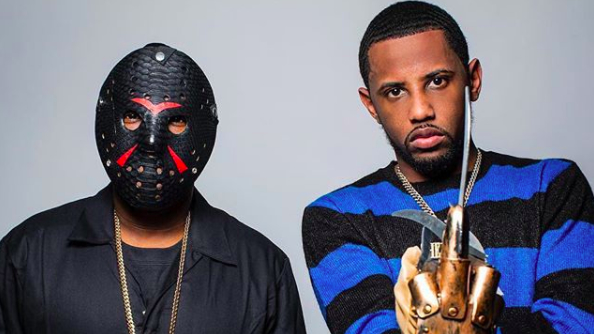 Back in February 2016, Fabolous planted a seed of epic proportions, announcing that he and Jadakiss were teaming up for a joint mixtape, inspired by the horror classic Freddy Vs. Jason. Over a year and a half later, the wait is over, with the 12-track project arriving as the best way to cap this year's Thanksgiving holiday (Nov. 24). After dropping a few loose singles and changing the project's name due to licensing issues, Friday on Elm Street has finally arrived, with Future, Teyana Taylor, Styles P, Swizz Beatz, French Montana, Yo Gotti and Jeezy all appearing as special guests. "Truthfully, it was a little bit of politics," Fab explained of the project's delay, speaking with Desus and Mero during an appearance on VICELAND. "Sometimes it was scheduling, sometimes it was me working on other things and getting that out there. It was a lot of different factors…Even the name, Freddy Vs. Jason, we tried that for awhile, and it wasn't happening [with] licensing. You can't use a lot of movie stuff anymore." Although encountering some setbacks since the project's conception, Jadakiss and Fabolous did not disappoint, with the pair even revealing that they will be supporting the project on the road this winter as well. Dates are still yet to be announced. Stream the long-awaited project below and cop it on iTunes if you're feeling it.